Loss of vision in one or both eyes can be extremely traumatic. Even minimal loss of vision can be painful and will have a permanent impact on a person's life and that of his/her family. Even if some vision is retained, the victim of an eye injury may no longer be able to drive. The victim may not be able to continue in his or her chosen line of work. Day-to-day activities may become much more difficult to enjoy including bathing, dressing and cutting food. It may become impossible or difficult to engage in hobbies and leisure activities. 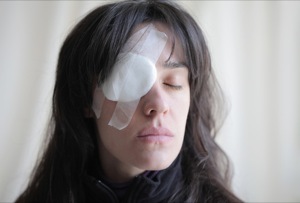 If you or someone you care about has suffered an eye injury of any type, contact the Miami personal injury attorneys at the law offices of Friedman, Rodman & Frank, P.A. We believe that you deserve as much compensation as possible and we will strive to get it for you by filing personal injury claims and lawsuits in Florida courts. We have the resources to consult with ophthalmologists and other physicians well-versed in eye injuries in order to have a clear understanding of the injury. The debilitating effects will be supported on medical evidence that we obtain for your injury. Estimates as to future medical needs and expenses will be secured. We handle eye injury claims including but not limited to those suffered on construction sites, workplaces, playgrounds, in auto accidents, due to defective products and caused by malpractice. Many of these injuries are the result of total recklessness. The eye is an extremely sensitive organ. Even a relatively small object can cause corneal eye injury or permanent eyesight problems if it strikes the eye hard enough. We have handled many cases that involve horseplay and accidents that quite simply should have been prevented. Many injuries occur because protective eyewear wasn’t provided by the responsible party like a homeowner or employer. No matter what type of accident your case involves, you can be confident in our ability to help you get the compensation you deserve. Please visit our Verdicts Section to see some past results from the firm. We fully understand that an eye injury can be devastating and debilitating. It can affect your ability to work, provide for your family, and enjoy the activities you love to do. Let us help you get the compensation you deserve and need. At Friedman, Rodman & Frank, P.A. we strive to get the best result for you and your loved ones. When seeking a personal injury attorney it is important that you find someone qualified and experienced in this area of the law. The attorneys at Friedman, Rodman & Frank, P.A. have been representing clients since 1976. You can feel confident that the attorneys at Friedman, Rodman & Frank, P.A. will put your interests first and help you get the compensation that you deserve based on the nature of your injury and damages suffered in the past and anticipated in the future. Call us at 305-448-8585 or toll free at 877-448-8585 or contact us online to speak directly with a Miami eye injury attorney in English, Spanish or Creole. Se habla español/Nou parlé Creole. We are available to assist you 24 hours a day 7 days a week.